When pursuing (or considering to pursue) a medical malpractice case, you'll need to consider several factors: the client's attachment to the case, their medical history, some basic medical research, and the need for an expert medical witness. An effective medical witness can often mean the difference between winning and losing a case. Therefore, it's of particular importance you don't have a witness who is ethically compromised. Who Does the Witness Associate With? You need to make sure your medical expert is not too closely associated with the community of the alleged malpractice. You don't want them to have any prior contact with the physicians involved in the case, and as little presence at the hospital as possible. Your case will require a completely independent voice, or the outcome may suffer. You'll need an actual expert in the field of medicine relevant to your case. It sounds simple, but it's not uncommon for medical experts to be drawn from an entirely different discipline from what is required. Not only is it unethical to pretend to be otherwise, but such a witness will be easy to expose in a trial. 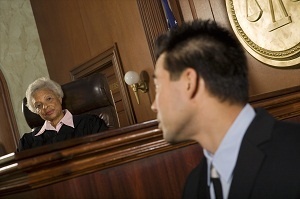 Sometimes an attorney will ask for testimony that an expert simply cannot give. Regardless of the personal involvement of the plaintiff, or the desire of the attorney, the medical expert must be true to his or her expertise and opinion. If you are relying on an expert whom you know, you may be influencing their testimony in a way that benefits your case, but in which they cannot ethically comply. At times it's helpful to go with an outside source through medical expert witness services, so as to prevent any undue influence. Regardless of the expert's expertise, she won't do you any good if she doesn't "seem" like an expert. You don't want your case to rely on a mad genius. You should expect a professional approach, and someone with at least fairly good speaking skills to convince the jury that yes, she does know what she's talking about. These requirements are simple, but necessary, to make sure you have an expert medical witness that is both ethical and effective.